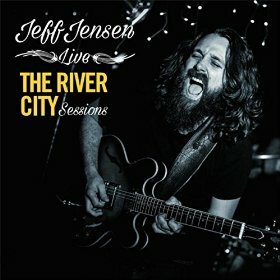 I just received the newest release, The River City Sessions, a live recording from Jeff Jensen and it's smokin! 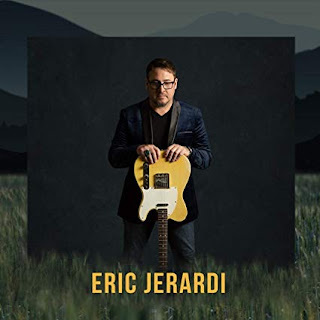 Opening with T-Bone Walker's, T-Bone Shuffle, Jensen steps right up on lead vocal and guitar and shows what everybody has been talking about for years. This guy can play! 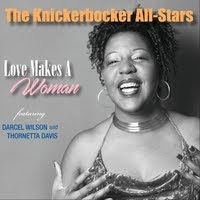 Backed by Bill Ruffino on bass and vocals and Bridgeforth Robinson on drums, this is a great opener. Up tempo blues rocker, Make It Through, has a nice running bass line and a bit of the Wet Willie funk. A light breezy track with a cool hook, a definite crowd pleaser. Empty Bottles is a quirky little country style blues with clever lyrics. A casual but deliberate pace winds up into a boogie and Jensen shows a little rockabilly flair. Very nice! JJ Boogie is a cool hard driven boogie with a solid drum lead, working bass line and slick guitar riffs. Excellent! Slow blues, Find Myself All Alone, shows a lot of emotion both vocally and on the fretboard. Sit back and catch the show here... Jensen really swats it! Brunette Woman has a nice swagger driven by the walking bass line of Ruffino. Relentless machine gun guitar work by Jensen gives this track a sound of it's own blending right into Elephant Blue, a quick paced jazz track. Ruffino takes a really tasty bass solo and then Jensen really catches fire making it one of my favorites on the release. Wow! Tom Waits' Heart Attack and Vine is a terrific track with a slow pendulous pace. It's suspenseful timing and of course Waits' theatrical writing make this track ideal for juicing with Jensen on guitar. Full blown guitar wringing is the name and Jensen is the man for the job. Excellent! Can't Believe We're Through has a nightclub jazz approach with rimshots and bass lead. Jensen plays lush chords developing into a solid radio track with shared lead vocals with Ruffino. The band cranks it up as the track nears the end developing more and more power as it goes. Very cool! Ash and Bone is a solid ballad with a fat guitar solo. This is a real nice track with the simplest of melodies but great dynamics. Wrapping the release is Bob Dylan's All Along The Watchtower. 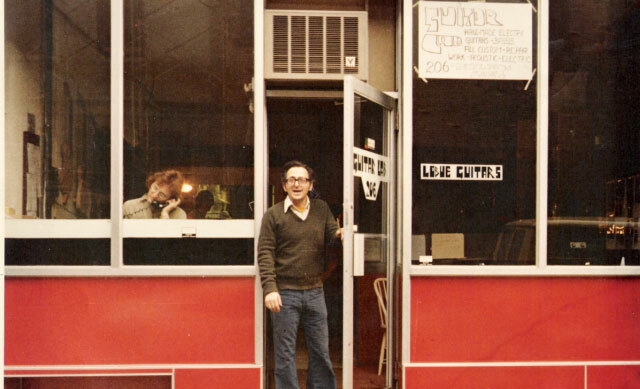 Jensen takes a road not far from Hendrix's with a little more jazz influence and openness. His attack and phrasing is all Jensen and the track is a really strong finisher for a super live release!